(file pix) The country’s population grew by 1.1 per cent to 32.6 million in the fourth quarter (Q4) of 2018, compared to 32.2 million in Q4 2017, demographic data released by the Department of Statistics Malaysia today revealed. NSTP/MALAI ROSMAH TUAH. KUALA LUMPUR: The country’s population grew by 1.1 per cent to 32.6 million in the fourth quarter (Q4) of 2018, compared to 32.2 million in Q4 2017, demographic data released by the Department of Statistics Malaysia today revealed. 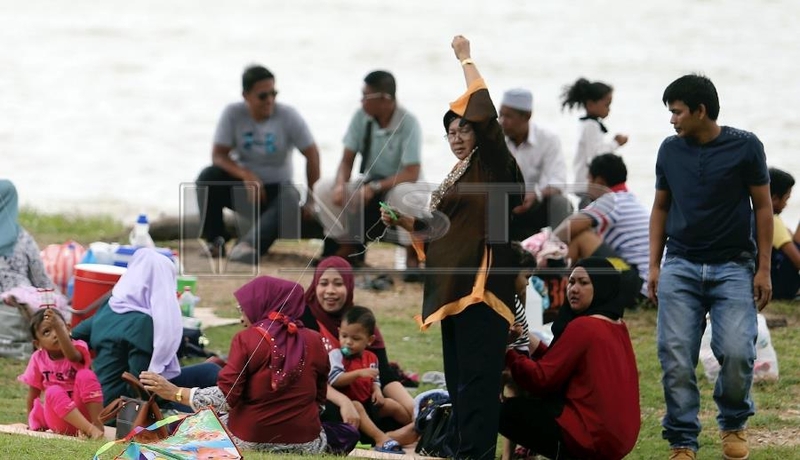 Of the total, 16.8 million were male and 15.8 million female, chief statistician Datuk Sri Dr Mohd Uzir Mahidin said in a statement, Bernama reported. The preponderance of males was also reflected in births in Q4 2018 – 65,800 babies were male and 61,600 were female. In total, there were 127,400 live births during the period – a decrease of 2.5 per cent compared to Q4 2017, which saw 130,600 live births. “Overall, Selangor is the most populous state in the country, with 6.5 million people; while the Federal Territory of Putrajaya has the lowest population, with 91,900 people,” Mohd Uzir added. As for deaths, 41,400 fatalities were recorded in Q4 2018 – a decrease of 1.9 per cent compared to Q4 2017, which saw 42,200 deaths. The number of males who died was 23,800, while females accounted for 17,600 deaths.